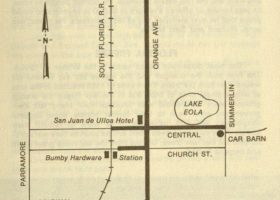 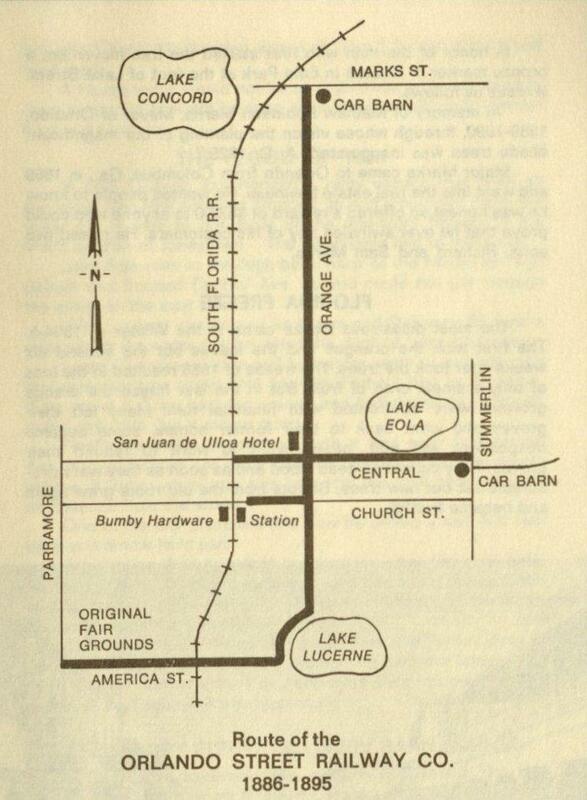 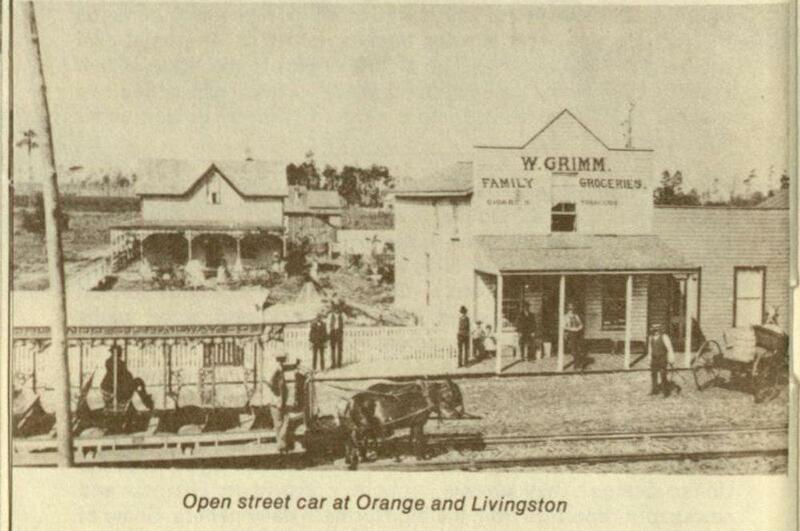 he street railway operated on Orange Avenue and Central Avenue, on Church Street to the railroad station, and around the west side of Lake Lucerne via America Street. 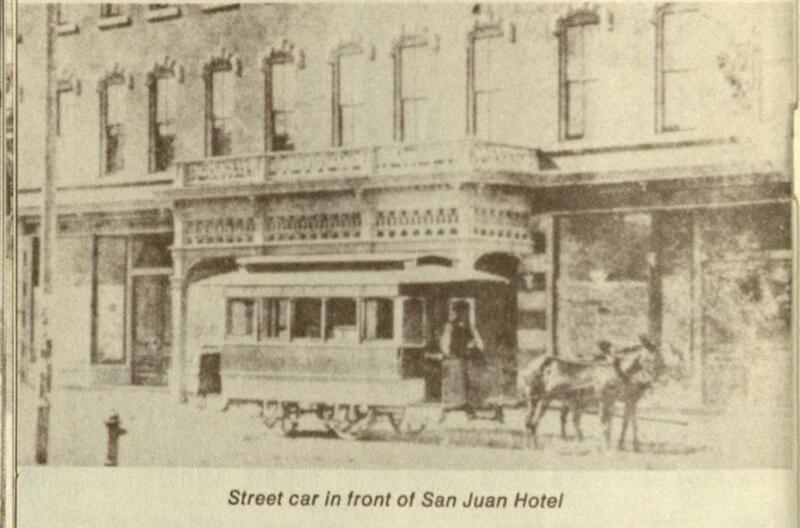 The speed of the mule drawn cars was set at six miles per hour. 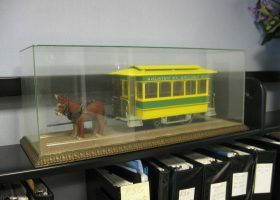 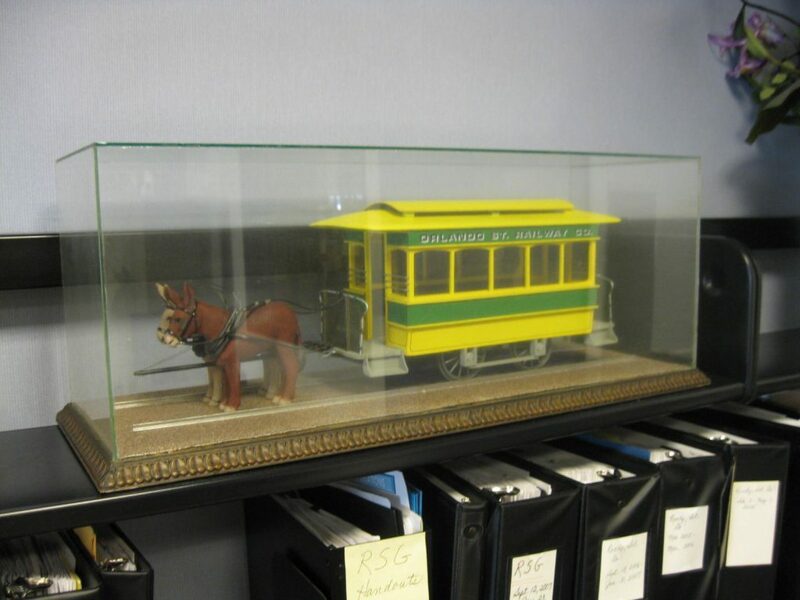 This street car model was handcrafted by James Stoll of Orlando. 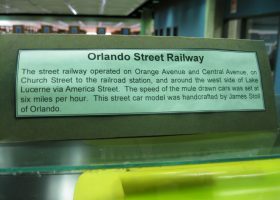 Two models currently reside in the Orlando Public Library, on the fourth floor. *Portions of the above text were borrowed from the documents attached below.